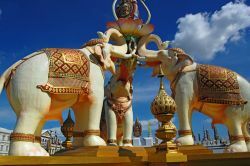 The Royal Hua Hin Golf Club, opened in 1924, was Thailand’s first 18 hole golf course and many of its fairways are lined with huge trees and sculptured shrubs in shapes of animals and Thai mythological creatures. 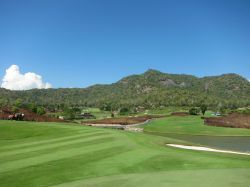 Black Mountain Golf Club is one of Hua Hin’s premier championship golf courses and hosted several PGA events (2009 & 2010 Black Mountain Masters and 2011 Royal Trophy). 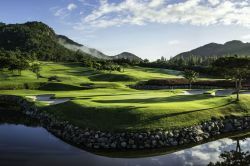 The 2009 “Best New Golf Course in Asia”, Banyan Golf Club caters to golfers seeking the highest standards of quality and service. Sea Pine just south of town is Hua Hin’s only links-style golf course. Playing right along the Gulf of Thailand one is reminded of how golf was originally intended to be played. . A twenty minute drive west is Springfield Royal Country Club, a Jack Nicklaus course and one of the 10 best golf resorts in Asia. A few minutes drive down the same road is Imperial Lake View, with 36 holes and the site of the 2007 Thailand Open. Palm Hills Golf Club is less than 10 minutes from Hua Hin, making it the closest championship course to town. 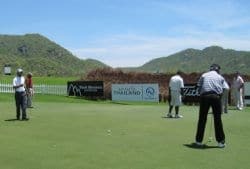 There is also Majestic Creek Country Club and Milford Golf Club further south in between fertile farmlands of mango, sugar cane and Aloe Vera. 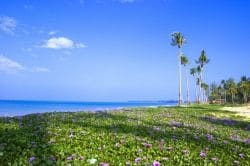 Little known Kaeng Krachan Country Club, while slightly further than the other Hua Hin golf courses is worth the drive into the mountains to experience some of Thailand’s most spectacular scenery and fauna. 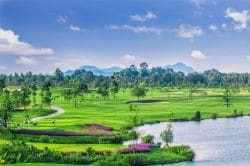 About 1 hour north to Thailand’s western interior there are a number of parkland golf courses built along rivers, lakes, densely forested jungles, hills and mountains. 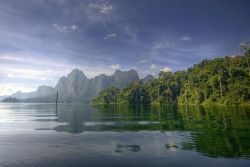 The River Kwai (Kanchanaburi) and Ratchaburi provinces are home to some pristine and highly praised courses that generally are only know to locals. These can all be reached from Hua Hin. 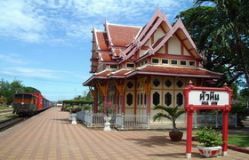 Golfasian can make arrangements for you to play at all the Hua Hin area golf courses, as well as these lesser known golf courses. Whether you’re traveling alone, as a couple, or with your family, there is something for everyone while escaping to a Hua Hin golf holiday. The beaches are mesmerizing and offer expansive views that can only be taken in properly, from a leisurely stroll on the soft sands. This destination’s relaxed nightlife and tourism also beckons travelers in a wide range of ages. 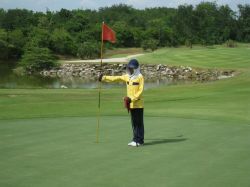 Come and enjoy the culture and exciting Hua Hin golf on a number of the best greens throughout all of Asia. A Hua Hin golf vacation offers some opportunity for customized options with each tour package. Visit the beautiful country of Thailand and spend plenty of time enjoying a favorite hobby with friends, business associates, and family. Looking for a vacation with a different itinerary? 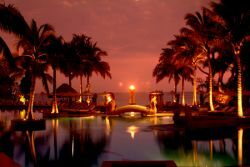 Then choose Golfasian for golf holidays abroad in Hua Hin, Thailand that are unparalleled when compared with many other popular golf-tourist destinations. 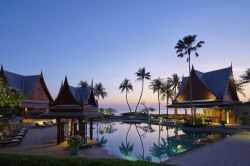 Stay at a Hua Hin beach resort and play the 6 best Hua Hin golf courses over an incredible 10 days. Hua Hin's golf courses are close to the main beach resorts, so you can golf in the morning and relax in the afternoon on the beach or by the swimming pool. How about a daily Thai massage to sooth those golf muscles after your round? That can be arranged too! 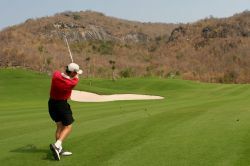 Hua Hin is the home of Golf in Thailand, and has the top rated golf course in the country, Black Mountain.